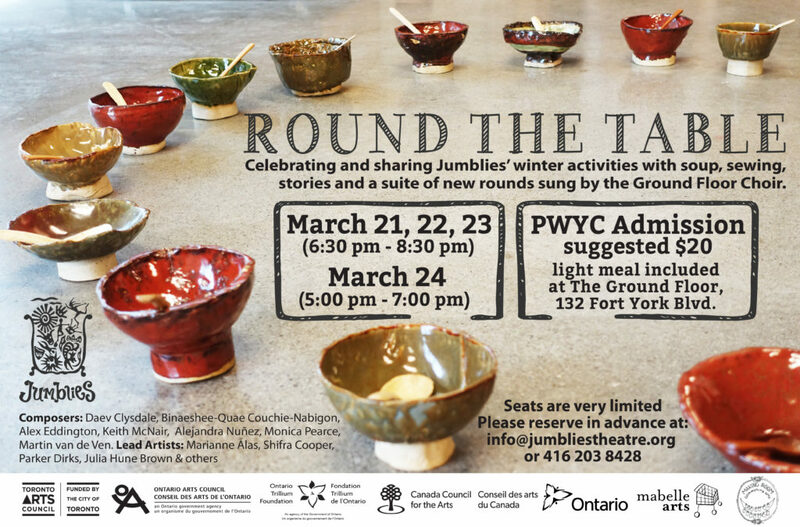 ROUND THE TABLE is a celebratory culmination of a Jumblies’ winter warming project: a performative meal that brings together soup, sewing, ceramics, stories and suite of new rounds sung by the Ground Floor Choir. We commissioned 7 composers and song-writers to create new rounds for our choir. 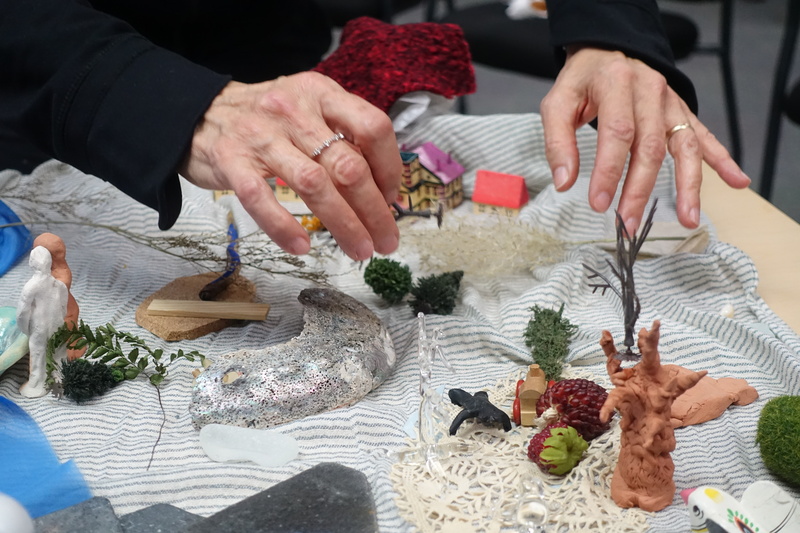 With text generated by artists and community members, each round represents one stage of a meal: preparing the home, making the soup, greeting the guests, expressing thanks, toasting, telling tales, clearing up, bidding farewell. Meanwhile, on Tuesdays, we invited people to join us in sharing soup, sewing and making bowls and working with guest storytellers. All of this will come together in the Round the Table musical meal and performance, running from March 21st to 24th. Round the Table grew organically from a need to fill a gap in fall and winter programming during a time of transition and replenishment for Jumblies, By asking staff, artists and partiipants what they would like to offer and take part in, we came up with songs (specifically rounds), soup, sewing, ceramics and storytelling, We are pleased to share some of these threads with you in a festive, frugal and fanciful event at our own CityPlace home. This event, also formally launches a new identity and name for our choir. 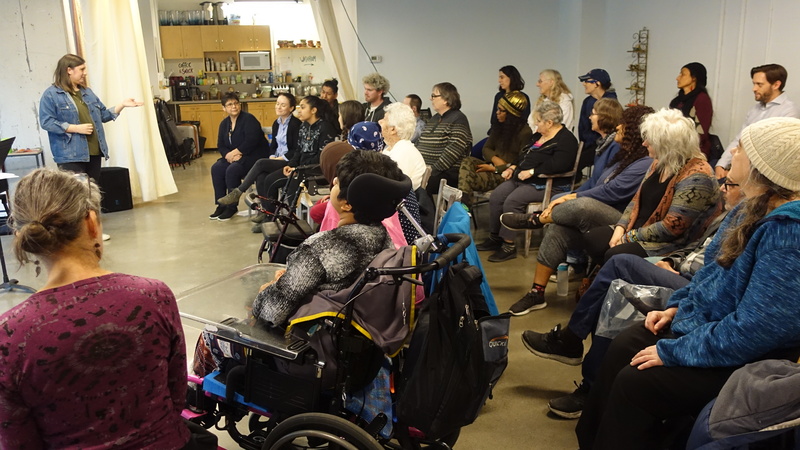 Uniting choirs and members from Making Room in Parkdale, Jumblies at The Ground Floor,MABELLEarts in Etobicoke, and others from all over the city, we are proud to announce an inter-community, mixed-age, mixed-ability community arts choir – the Gather Round Singers! Following Round the Table, this choir will move to Parkdale for the spring, Etobicoke for the summer, and back to The Ground Floor in the fall. A series of Performing Stories workshops was also part of our Round the Table winter fare: led by Julia Hune-Brown, with guest storytellers Binaeshee-Quae Couchie-Nabigon, Sharada Eswar, Rubena Sinha and Bernice Hune. And all the community members who joined in to create and present the various elements of Round the Table! Shifra Cooper is choral director, community artist and arts manager who is passionate about sparking new works that bring together singers of mixed abilities and backgrounds with professional composers, musicians, and interdisciplinary artists. 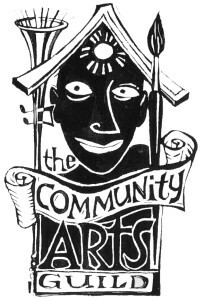 Since 2009, Shifra has collaborated on community arts projects with companies including: Jumblies Theatre, The Bain Arts Collective, Making Room Community Arts, Thinking Rock Community Arts, Arts4All, AlgomaTrad and Vancouver Moving Theatre. In 2017, she completed a Metcalf Internship in Artistic Directing with MABELLEarts and was included in The Inspirit Foundations’ ChangeUp Cohort of Emerging Change Leaders. 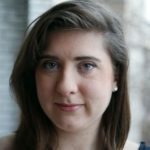 She received a nomination for the Leslie Bell Prize for Choral Conducting (2016) and she completed her BA in Literature at the University of Toronto (2014). Shifra is currently the Assistant Artistic Director of MABELLEarts. She has been leading community choirs across Toronto since 2014 – with Making Room and Jumblies – and is proud to bring singers from these projects together this spring as part of the new inter-community choir, the Gather Round Singers. Marianne is a Costume Maker and Textile Artist working primarily in Community Arts. She studied Fine Arts at the University of Guelph and Fashion and Millenary at George Brown College. She is also a trained Cook and, when not busy with costumes and fabric arts, can be found making and organizing food for production teams, community members, performers and audiences. She has been the head of costume for many productions at Jumblies (Like and Old Tale), Arts 4 ALL (I was a Brave Child) and The Community Arts Guild (Train Payanam). She has also worked on costumes for Video Cabaret (The War of 1812, The Great War), Aanmitaagzi (When will You Rage) and The Luminato Festival (L’Allegro Movement Project, Winter Snow). 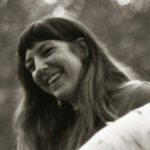 Parker Dirks is a visual artist with an interdisciplinary practice and a trans*, feminist, sustainable food activist. They attended Goshen College in Indiana, where they were active in the Queer Collective and holds a degree in ceramics from NASCAD University, where they were active within the Feminist Collective. They are interested in combining art and activist practices in ways that examine the ways in which individuals and groups occupy spaces. 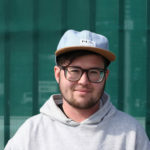 At the Ground Floor, Parker has been doing screen printing and assisting with our Word & Images workshops. 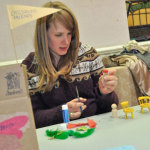 At MABELLEarts, they helped deliver the weekly outdoor series in Mabelle Parkette. JULIA HUNE-BROWN IS AN ACTOR, EDUCATOR AND COMMUNITY ARTIST. SHE HAS WORKED WITH DIVERSE COMMUNITIES FACILITATING MOVEMENT AND THEATRE WORKSHOPS IN TORONTO AND INTERNATIONALLY. JULIA HOLDS A BFA IN THEATRE AND DEVELOPMENT FROM CONCORDIA UNIVERSITY AND A B-ED FROM OISE UNIVERSITY OF TORONTO . AS AN EDUCATOR SHE HAS TAUGHT IN BRIXTON, ENGLAND AND CURRENTLY WORKS AS A VISITING ARTIST AND CLASSROOM TEACHER WITH THE TDSB. 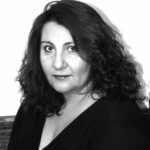 JULIA HAS WORKED AS ACTOR AND FORUM THEATRE FACILITATOR WITH MIXED COMPANY THEATRE. 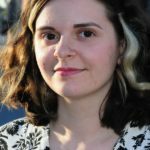 FROM 2016-17, JULIA HAS WORKED WITH JUMBLIES THANKS TO THEATRE ONTARIO PTTP AND METCALF FOUNDATION PERFORMING ARTS INTERNSHIP GRANTS, AND SHE IS PLEASED TO CONTINUE WITH JUMBLIES AS A LEAD ARTIST ON SEVERAL PROJECTS. 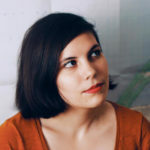 Miranda Sharp is an artist and illustrator from Toronto with a specific interest in comics and other forms of visual storytelling. She studied Studio Art and Art History at Concordia University in Montreal before returning to Toronto in 2013. Since January 2014 she has worked as an arts intern at Jumblies Theatre, where her favourite practice has been coaxing other people into creating comics of their own. Dylan Tate-Howarth is a theatre artist based in Toronto. She has worked as an assistant director and stage manager with Bad New Days, Pomme Grenade, ZOU Theatre, FixtPoint, and wheelwright theatre and as a production manager and stage manager with Jumblies Theatre and The AMY Project. Binaeshee-Quae (Loon Clan) is a singer songwriter, actor; and community arts enthusiast from Biigtigong First Nation. She works with many different mediums but the voice is the “heart of her art”. Binaeshee-Quae has been singing since she can remember; “My Mom says when I was a baby, she would hold me & sing one steady note and I would sing back. She swears we harmonized. Binaeshee-Quae performs jazzy-alterna-folk & onomatopoeically crafted lyrics. Her first full length album “Ooof” was released in 2013 & she plans a follow-up release in the coming year. Binaeshee-Quae has been involved in community arts as an artist, presenter, workshop facilitator & volunteer since 2009. She has worked professionally for community arts organizations such as Aanmitaagzi-S(He) Speak and Jumblies. 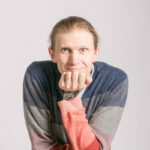 Keith worked with Jumblies Theatre as Managing and Development Director from 2008 to 2016, after 20+ years in Toronto’s social development sector. He served as Executive Director of Davenport Perth Neighbourhood & Community Health Centre from 1999 to 2008, where he worked with Ruth Howard to establish Arts4All, now a freestanding Jumblies Offshoot. 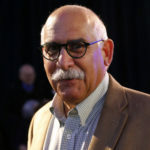 He was Artistic Director of the Peace Child Toronto/Volgograd project and the Democracy Parade, and writer/director of the Hillary Chronicles, a multimedia provincial politics soap opera and composer for the singing group Sweet Lips. He still enjoys song writing, performs with Jay Bowen in the duo 67-68, and continues to broadened his artistic scope, making chipmunk playgrounds and gizmos that the wind makes spin. 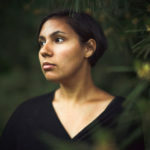 MONICA PEARCE IS A TORONTO-BASED COMPOSER OF NEW CLASSICAL/ CONTEMPORARY MUSIC. 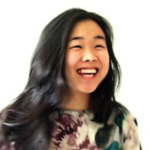 SHE CO-FOUNDED THE TOY PIANO COMPOSERS IN 2008 WITH CHRIS THORNBORROW. PEARCE’S WORK HAS BEEN PERFORMED AND COMMISSIONED BY THE INTERNATIONAL CONTEMPORARY ENSEMBLE, NEW MUSIC DETROIT, CHAMBER CARTEL, ARRAY ENSEMBLE, TALISKER PLAYERS, ESSENTIAL OPERA, BICYCLE OPERA PROJECT, NEW FANGLED OPERA, TORQ PERCUSSION QUARTET, JUNCTQÍN KEYBOARD COLLECTIVE, AND THIN EDGE NEW MUSIC COLLECTIVE, AMONG OTHERS. SHE WAS THE COMPOSER-IN-RESIDENCE FOR THE O.K. QUOI?! FESTIVAL IN SACKVILLE, NEW BRUNSWICK. 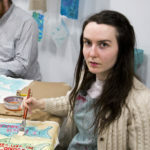 SHE IS CURRENTLY WORKING ON A PIECE ENTITLED TEXTILE FANTASIES. MONICA IS ALSO THE EXECUTIVE DIRECTOR OF THE MUSIC GALLERY, AND SITS ON THE BOARD OF THE CANADIAN MUSIC CENTRE. Daev (pronounced Dave) Clysdale is a musician from Ottawa, now living in Toronto. 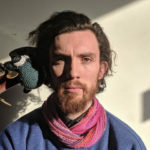 Daev plays Irish traditional music on wooden flute, tin whistle, accordion and piano and has been playing, performing and composing music for over twenty years. 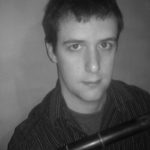 Daev studied in the music program at Carleton University, where he became the first person in Canada to earn a performance degree in tin whistle.Now, after years of playing sessions, ceilis, weddings, and other events, he has developed a reputation as a skilled performer and teacher. In 2012, Daev competed in the prestigious Midwest Fleadh Cheoil in Chicago, placing first in tin whistle and third on flute. Alejandra Nuñez is a vocalist, percussionist, composer and mother to Natalia and Mathew. Born in Santiago Chile, Alejandra has lived and worked as a musician in Canada and the United States, she has performed in Europe as well as North and Central America. Her training on percussion has taken her to Brazil, Cuba, Puerto Rico, New York and Egypt. Band leader of Latin Jazz Band Projecto Urbano Self titeled CD with Mano Music. Alejandra has performed with The Toronto Dance Theater and written scores for various plays, including Djanet Sears Adventures of A Black Girl in Search of God (Dora MD Nomination) MD Trey Anthony’s The Kink in My Hair, Score, Soundscape, MD Michael Miller’s The Power of Harriet T! 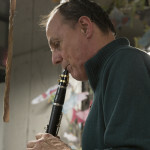 MARTIN VAN DE VEN IS A COMPOSER, CLARINETTIST AND MUSICAL DIRECTOR AND EDUCATOR. A MAINSTAY OF THE CANADIAN KLEZMER SCENE, HE PERFORMS WITH CANADA’S HOTTEST KLEZMER BAND, BEYOND THE PALE, RECENTLY RETURNED FROM TOUR OF THE SOUTHERN U.S. HE HAS PUBLISHED TWO INSTRUCTIONAL VOLUMES OF KLEZMER TRANSCRIPTIONS AND HAS COMPOSED AND PERFORMED MUSIC FOR FILM, TELEVISION, THEATRE, AND DANCE PRODUCTIONS. 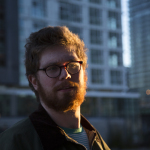 IN 2017 WITH JUMBLIES HE COMPLETED THE MULTI MOVEMENT CANTATA, UNDER THE CONCRETE, PREMIERED AT HISTORIC FORT YORK, ALONGSIDE THE TALKING TREATIES SPECTACLE. HE IS CURRENTLY A FULL-TIME MATH INSTRUCTOR AT FOR THE TORONTO DISTRICT SCHOOL BOARD, AND A FIRM BELIEVER IN ARTS EDUCATION –FOR CHILDREN AND ADULTS ALIKE– AS A WAY TO A HEALTHY, WELL ROUNDED AND FULFILLING LIFE. 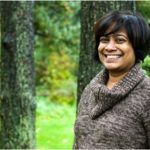 SHARADA ESWAR IS A WRITER, STORYTELLER, SINGER, ARTS EDUCATOR, MULTI-DISCIPLINARY AND COMMUNITY-ENGAGED ARTIST. A GRADUATE IN LITERATURE STUDIES, SHE TRAINED TO BE A WRITER AND A STORYTELLER. AND ALSO IMMERSED HERSELF IN CARNATIC MUSIC IN CHENNAI, INDIA. SHE TOOK TO MANY OTHER STYLES INCLUDING HINDUSTANI CLASSICAL (PATIALA GHARANA) RABINDRA SANGEET, ABHANG AND EUROPEAN. SHE WAS PART OF THE TEAM REPRESENTING INDIA AT THE INDIA ABROAD SHOW IN PARIS AND NEW YORK, AND ONE OF TTHREE CHOSEN BY THE CENTRES CULTURELS DES LIONS CLUBS DE PARIS TO PRESENT INDIAN CULTURE IN NORMANDY. SINCE THEN, SHE HAS BEEN PERFORMING AND TEACHING IN TORONTO AND INTERNATIONALLY, DRAWING ON HER SOUTH ASIAN HERITAGE. A PUBLISHED CHILDREN’S AUTHOR, SHARADA IS AT PRESENT THE COMMUNITY ACTIVATOR AT THE ART GALLERY OF MISSISSAUGA AND HAS BEEN THE CULTURAL ANIMATOR (MISSISSAUGA/PEEL) THROUGH THE ONTARIO ARTS COUNCIL. RUBENA SINHA IS A STORYTELLER BASED IN TORONTO, WHO USES HER EXPERIENCE OF SOUTH ASIAN MYTH AND DANCE TO WEAVE STORIES OF LIFE, LOVE, HEROES AND DEMONS AND HER OWN PERSONAL EXPERIENCE AS AN IMMIGRANT. SHE IS A GRADUATE OF THE WEST BENGAL ACADEMY OF DANCE, WITH TRAINING FROM TRAINING UNDER THE DIRECTION OF THE INTERNATIONALLY RENOWNED UDAY SHANKARDRAMA. SHE WAS THE FOUNDER AND ARTISTIC DIRECTOR OF FUSION DANCE THEATRE FOR MANY YEARS. IN 1994 RUBENA TOOK A YEAR LONG SABBATICAL IN NORTHERN INDIA AND BOTSWANA AND RETURNED WITH A NEWFOUND KNOWLEDGE OF THE ANCIENT PUPPETRY TRADITIONS OF BENGAL. WITH HER MOVE TO TORONTO, RUBENA’S MAIN FOCUS HAS BEEN ON STORYTELLING. SHE HAS RECEIVED AN ONTARIO ARTS COUNCIL GRANT PARTIALLY TO SUPPORT HER CREATIVE PROJECTS. BERNICE SPINS GOLD MOUNTAIN STORIES, AND TRADITIONAL FOLKTALES FROM ASIA ENTWINED WITH CANADA’S IMMIGRANT HISTORY STORIES. 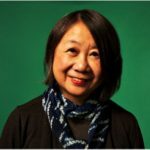 SHE IS A STORYTELLER, ACTOR, RADIO BROADCASTER AND ARTS EDUCATOR WHO GREW UP IN TORONTO IMMERSED IN CANTONESE SONGS AND STORIES. 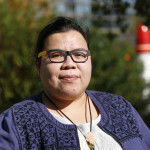 HER WORK HAS BEEN HIGHLIGHTED AT THE CANADIAN MUSEUM OF IMMIGRATION – PIER 21 IN HALIFAX AND AT THE MULTICULTURAL HISTORY SOCIETY OF ONTARIO. 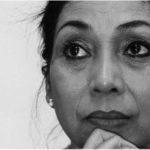 BERNICE HAS PERFORMED AT MANY CULTURAL CENTERS ACROSS CANADA AS WELL AS AT THE SINGAPORE INTERNATIONAL STORYTELLING FESTIVAL. SHE HAS MADE 1001 VISITS TO ONTARIO SCHOOLS AS WELLS AS VISITED VANCOUVER ISLAND FOR THE TD CANADIAN CHILDREN’S BOOK WEEK TOUR, AND HAS PRESENTED IN DAYCARES, HOSPITALS, SENIOR RESIDENCES AND INTER-GENERATIONAL COMMUNITY CENTRES. 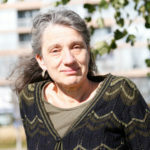 BETH HELMERS IS A DIRECTOR, ACTOR, PLAYWRIGHT, AND ARTIST EDUCATOR OF THE COMMUNITY ARTS GUILD, AN INDEPENDENT JUMBLIES OFFSHOOT IN EAST SCARBOROUGH. Classical soprano Risa de Rege has performed operetta in Canada and England, and sings regularly in recitals, choral concerts, and operas around Toronto. 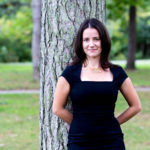 She has a bachelor’s degree in history and art from the University of Toronto, and studied writing at Humber College. She is currently a member of the Mendelssohn Choir, and is looking forwards to singing in their upcoming performance of Leonard Bernstein’s Candide with the Toronto Symphony Orchestra. She enjoys having many opportunities to perform with her boyfriend, baritone Brian Dearden; they will be singing Zerlina and Maesetto in Mozart’s Don Giovanni with Opera By Request in June. Anh Phung is a multi-genre instrumentalist based in Toronto. 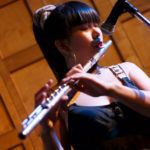 With flute as her primary instrument, she received a BMus in Jazz Performance from McGill University in 2012 and has continued to tour, perform, and record in a number of different genres and areas. Her performances have ranged from being a soloist with L’Orchestre Symphonique de Quebec under Yoav Talmi, to playing with members of the AACM in tribute to Alice Coltrane on the Jay Pritzger Pavilion in Chicago’s Millennium Park, to performing at Osheaga Festival in Montreal with electro-pop band, Propofol, to playing traditional Swedish polskas for Folk Marathon’s big ball in Copenhagen. Phung has won numerous awards, notably 1st place at the Canadian Music Competition and the Galaxy Rising Star Award for two consecutive years at MusicFest Canada. Phung continues to freelance as a performer and studio musician, as well as write music and tour with her latest project, HaiRbraIN. Robert Alan Mackie has spent his adult life dissecting the sounds of Québecois jazz purists, Torontonian songwriters, and Scandinavian fiddlers, sewing them back up however he pleases for display on the double bass, the violin, and the written word. Robert Alan Mackie is thankful to count Anh Phung, Jaron Freeman-Fox, Quinn Bachand, Steven Foster (Omhouse), Sarah Jane Scouten, The Bombadils, and Coco Love Alcorn as collaborators and compatriots on record and in performance. AANII, JAMIE-LEE OSHKABEWISENS DIZHNIKAAZ, WIKWEMKOONG DOONGIBAA. 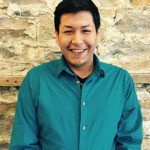 HELLO I’M JAMIE–LEE OSHKABEWISENS, I HALE FROM WIKWEMIKONG UNCEDED INDIAN RESERVE ON MANITOULIN ISLAND. I’VE BEEN IN MANY PLAYS WITH DEBAJEHMUJIG CREATION CENTRE, INCLUDING THEIR PRODUCTION OF “GLOBAL SAVAGES” (2015). I TAKE PART IN AN ANNUAL “WILDER MED SENARIOS” WITH THE NORTHERN ONTARIO SCHOOL OF MEDICINE. I’VE BEEN IN AN ARTS EDUCATOR FOUNDATIONS WORKSHOP WITH THE ROYAL CONSERVATORY OF MUSIC & DEBAJEHMUJIG, ATTENDED THE HERITAGE INTERPRETER WORKSHOP, AND PART OF JUMBLIES’ 2015 TRAIN OF. THOUGHT TOUR. I AM NOW A FREELANCE ARTIST WORKING ON MY OWN PROJECTS, AS WELL AS STARTING IN APRIL 2018 TO WORK WITH JUMBLIES FOR A YEAR, THANKS TO FUNDS FROM MIZIWE BIIK. Heather Long is a visual artist currently living in Toronto, ON. She graduated from York University in 2011 with a BFA in painting and drawing. Currently, Heather is working on creating mixed media pieces which reflect nature and her everyday surroundings. 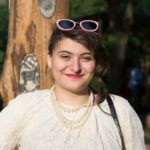 CHRISTEN IS CURRENTLY THE COMMUNITY ARTS ADMINISTRATOR INTERN AT MABELLEARTS. SHE IS INTERESTED IN HOW PEOPLE GATHER IN PUBLIC SPACES, HOW ART IS USED AS A FORM OF RELATION MAKING AND HOW COMMUNITIES ARE SUPPORTED. IN 2015 SHE FOUNDED TALKING HEADS: STORYTELLING COLLECTIVE, IN HALIFAX. NS. SHE HOPES TO CONTINUE TO FOSTER ENVIRONMENTS WHERE PEOPLE CAN FLOURISH BY LIVING INTENTIONALLY WITH ONE ANOTHER. CHRISTEN GRADUATED FROM DALHOUSIE UNIVERSITY STUDYING ENVIRONMENTAL SUSTAINABILITY AND INTERNATIONAL DEVELOPMENT WITH A MINOR IN CULTURAL ANTHROPOLOGY. LIZ RUCKER, PLAYWRIGHT AND PERFORMER, IS THE ARTISTIC DIRECTOR OF ARTS4ALL IN DAVENPORT WEST. LIZ IS A GRADUATE OF YORK UNIVERSITY’S THEATRE PROGRAM AND A FOUNDING MEMBER OF NUMBER ELEVEN THEATRE. 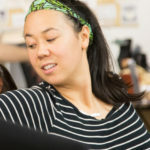 OVER THE PAST 15 YEARS, LIZ HAS BEEN INVOLVED IN MANY PROJECTS AS STORY ANIMATOR, PLAYWRIGHT AND THEATRE ARTIST AND REALIZED NUMEROUS OPEN THEATRE COLLABORATIONS WITH ARTISTIC AND DIVERSE COMMUNITIES IN CANADA AND ABROAD. 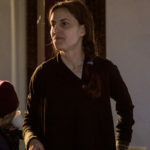 WITH ARTS4ALL, LIZ HAS LED MANY LARGE-SCALE COLLABORATIVE COMMUNITY THEATRE PROJECTS, INCLUDING YOUR NAME IS WRITTEN IN THE SKY (2004), WE LIVE HERE (2009), I WAS A BRAVE CHILD (2013), FIRST PRIZE (2013), AND DOWN IN THE DEEPS (2014). SHE WAS THE LIBRETTIST FOR VIEW FROM HERE, PREMIERED AT JUMBLIES 2017 TOUCHING GROUND FESTIVAL.